A recently published, unexpected discovery coming from researchers at Albert Einstein College of Medicine at Yeshiva University suggests that vitamin C may be a useful component to treating drug-resistant tuberculosis. 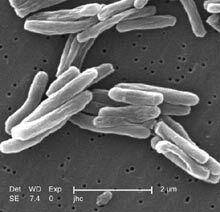 This finding may sound more like something out of a television medical drama than real life, but the research—funded by the National Institute for Allergy and Infectious Disease at the National Institutes of Health—suggests that ascorbic acid may help kill the bacteria that cause TB. On March 24, World Tuberculosis Day, the Lancet published a series of papers on the need to combat drug-resistant tuberculosis. Cases of drug-resistant TB are on the rise, posing a growing threat to the health of populations in all parts of the world. The series consists of six papers written by international experts in the tuberculosis field, including Professor Alimuddin Zumla, Director of the Centre for Infectious Diseases at the University College London Medical School and Dr. Marco Schito at the National Institute of Allergy and Infectious Diseases. Some papers focus on TB diagnostics, highlighting advances such as the Xpert MTB/RIF test as well as the dire need for new affordable and effective diagnostics that can detect drug-resistant strains of the disease. One paper focuses on the more technical aspects of the disease and identifies the need for additional funding to research biomarkers for drug-resistant TB. Yet another paper discusses the importance of integrated health service and control efforts, as countries are facing a high burden of TB as well as non-communicable diseases such as diabetes and cancer. Finally, the last two papers discuss the importance of community engagement in research and the need for visionary political leadership to advance global efforts to control TB. Taken together, this series not only warns of the danger of the TB, but of the danger of inaction. If we are to make progress in the global fight against TB, we must take some of the recommendations for research and control efforts laid out in these papers. It will take concerted action from political leaders, health policy makers, funders and researchers to stem the growing threat of drug resistant TB. On February 26, the Global Health Technologies Coalition held a Capitol Hill briefing, “Renewing US leadership: Policies to advance global health research.” The briefing included displays from global health nonprofits, the launch of GHTC’s fourth annual policy report as well as a panel discussion. Panelists included Dr. Lee Hall, Chief of Parasitology and International Programs at NIAID, Dr. Alan Magill, Director of Malaria at the Gates Foundation and Dr. Caroline Ryan, Deputy Coordinator for Technical Leadership at PEPFAR. Each highlighted key U.S. contributions to global health including the development of a rapid TB diagnostic, advances in HIV/AIDS treatment and delivery through PEPFAR and a new treatment for leishmaniasis developed in part by researchers at the Department of Defense. Speakers pointed out that many of these medical breakthroughs were accomplished through leveraging U.S. government funding and working in public-private partnerships. All speakers expressed concern that cutting federal funding for global health research could jeopardize progress for these lifesaving tools. On February 4, Aeras released the results of a clinical trial of one of their TB vaccine candidates. The trial was conducted in South Africa with nearly 3,000 infants and while the vaccine was safe and well-tolerated, ultimately it was not found to provide protection against TB. Although the results were not what researchers had hoped, the trial was the first of its kind and proved that a large-scale clinical trial to test a TB vaccine in infants can be successfully run in a country with a high TB burden like South Africa. Researchers also pointed out that there are twelve other TB vaccines in clinical development and the infrastructure built through this trial can be used to test these candidates in the future. Instead of being disappointed with the results, the global health community must move forward in the fight against TB with renewed urgency. TB kills 1.4 million each year and over 12 million suffer from TB infection. Cases of drug-resistant TB are on the rise and the existing treatments are extremely complex and expensive, meaning that only 3% of drug-resistant patients receive proper treatment. The economic cost of TB is also enormous – in South Africa alone, TB control costs nearly $300 million each year. New drugs, diagnostics and vaccines are urgently needed to saves lives and money. As we ring in the New Year, 2013 promises to be an exciting time to be involved in the fight to raise support and awareness for neglected tropical diseases. As the world becomes more interconnected and global warming changes disease patterns, NTDs are increasingly spreading across borders – including right here at home. For example, Slate recently published an article addressing the return of dengue in the United States. In the past few years, dengue has sickened hundreds in Florida and other southern states. Experts warn that the combination of the virus, a lack of immunity to dengue and widespread mosquitoes provide the perfect storm of conditions for larger dengue outbreaks in the U.S.
As the spread of NTDs adds urgency to the fight, scientists continue to work every day to develop innovative ideas to combat NTDs. In a trial experiment in Africa, researchers are testing the ability of prawns to combat schistosomiasis. A parasitic disease that can be fatal, schistosomiasis is spread through water snails. Prawns are the primary consumers of snails, so researchers hope that re-introducing prawns to rivers at the African test site will help decrease transmission of the disease. In addition to innovative experiments, every week there are reports of new scientific breakthroughs that will help save lives. Just last week, the FDA approved a drug to fight drug resistant tuberculosis, the first new drug for the disease in over four decades. Developed by Johnson & Johnson, the drug cures patients in less time than older treatment options. It is these kinds of innovations and breakthroughs that demonstrate the power of research investments and the importance of research for global efforts to eliminate neglected diseases. Be sure to check back soon for new NTD highlights! On December 13 and 14, the global health community gathered at the Mount Sinai School of Medicine in New York for a conference called “Lives in the Balance: Delivering Medical Innovations for Neglected Patients and Populations.” Hosted by Mount Sinai Global Health, Doctors Without Borders (MSF), and Drugs for Neglected Diseases initiative (DNDi), the conference aimed to spur innovation for new tools to combat neglected diseases. Several key themes emerged from the conference. First, there is a ‘fatal imbalance’ between the burden of neglected disease and medical innovations to combat these illnesses. Neglected diseases affect more than 1.4 billion people worldwide and account for nearly 11% of the global disease burden. In contrast, MSF’s Jean-Herve Bradol, MD, pointed out that of 850 new therapeutic products approved in the past decade, only 4.4% were for neglected diseases. Furthermore, only 1.4% of 148,445 clinical trials were for neglected diseases. To solve this problem, many presenters agreed that there must be a new global framework for global health R&D. A new framework would place an emphasis on public financing and some called for all countries to pledge 0.01% GDP to government-funded R&D. In addition to reforming the global R&D system, several panelists mentioned the importance of improving access. This means not only improving access to medicines among neglected patients but improving information sharing and access to essential compounds among researchers. The idea of access must also be built into the beginning of the research process. For example, considering storage temperatures or dosage early on in the R&D process will help to ensure that the new tools being developed can be easily utilized in the field. 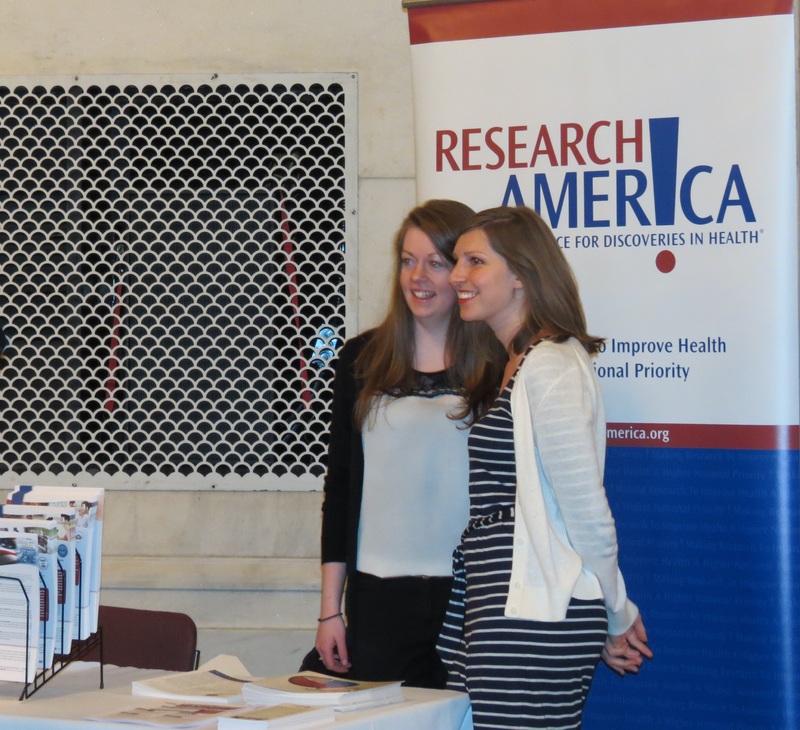 The conference has put a spotlight on the need for more research to combat neglected diseases. Diseases that once only existed in the developing world are becoming an increasingly large threat in Europe and in the U.S. Cases of multi-drug resistant TB are on the rise, and we need much better treatment options to cure patients. Only two drugs are currently available to treat Chagas disease; both were developed more than 35 years ago, have toxic side effects and are not effective in all patients. It is more important than ever before that governments, philanthropic groups and the private sector come together to help reform the global R&D system, improve access and find new tools to help neglected patients and populations around the world. Many have called this time, these partnerships and current innovations in modern science an unprecedented opportunity for neglected disease R&D. Others are frustrated by the seeming regression in global health due to non transformative “stopgap” efforts, citing drug resistant TB as an example. Both may be right. With unified advocacy to raise awareness and engage political and civic will for NTDs, we can successfully channel both the frustration and the opportunity ahead of us. Last week, we noted the Centers for Disease Control and Prevention report about a spike in dengue cases in Puerto Rico. It’s just more evidence of what we’ve been saying all along: global health R&D matters for Americans, both in terms of health and economics. And, this weekend, a story in the Palm Beach (FL) Post helped fortify that and another argument we make: Cutting research is not a deficit-reduction strategy. According to reporter Stacey Singer, a CDC official warned the Florida Department of Health that Jacksonville was facing the worst tuberculosis outbreak the official had seen in two decades. But policy makers never got the message. They were too busy focusing on a restructuring – i.e., shrinking – of the Department of Health that Gov. Rick Scott (R) had signed into law only days earlier. Among that restructuring was the closing of A.G. Holley State Hospital in Lantana, located between West Palm Beach and Boynton Beach on Florida’s Atlantic coast. Holley had experience treating TB cases for more than 60 years. Apparently unaware of the CDC report, the Department of Health mandated that Holley be closed six months ahead of schedule. Now, as many as 3,000 people may have been in close contact with contagious people, yet only 253 have been tracked down. And TB has begun popping up in other parts of the state, including Miami. The story notes State Rep. Matt Hudson (R-Naples) – the “champion of the health agency consolidation,” according to the story – said he too was unaware of the CDC report but promised that funding would be made available to treat those who were infected. And it’s also left the local health department in a bind. Robert Harmon, MD, MPH, director of the Duval County Health Department, noted that in 2008, his agency had 946 employees and a $61 million budget. Today, there are 700 employees and a $46 million budget. If he can find $300,000, Harmon plans to hire experts to track down the thousands of others who may be unknowingly affected. The story notes that a person with uncomplicated TB needs a months-long course of drugs to defeat the disease, which costs around $500. Not sticking to the course can and often does result in drug resistance. 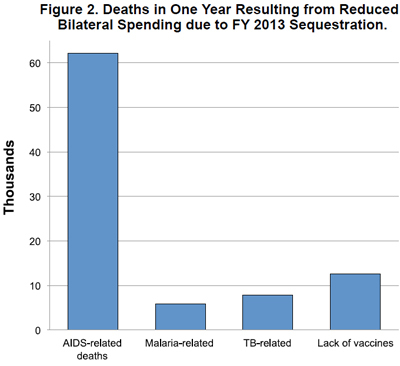 The cost of treating drug-resistant TB? $275,000.